Myhailo (Zakharovych) Zghurovskyi is a Ukrainian scientist, rector of the National Technical University of Ukraine “Kyiv Polytechnic Institute”, director of the Institute of Applied Systems Analysis of the National Academy of Sciences of Ukraine and the Ministry of Education and Science of Ukraine. He works in many international scientific societies and organizations, in particular, the National Member of Earth Data Network for Education and Science (EDNES, Strasbourg, France); the International Council of Science (ICSU, Paris, France); and the Committee on Data in Science and Technology (CODATA, Paris, France). 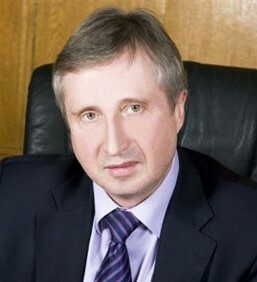 He is the President of the Black Sea Universities Network (BSUN, Constance, Romania) and President of the Central & Eastern Europe for Sustainable Development Institute (CEESDI, Kiev, Ukraine). He is a full member of the National Academy of Sciences of Ukraine and was Minister of Education of Ukraine from 1994 to 1999.